Title: Big game hunting in Africa and other lands; the appearance, habits, traits of character and every detail of wild animal life .. 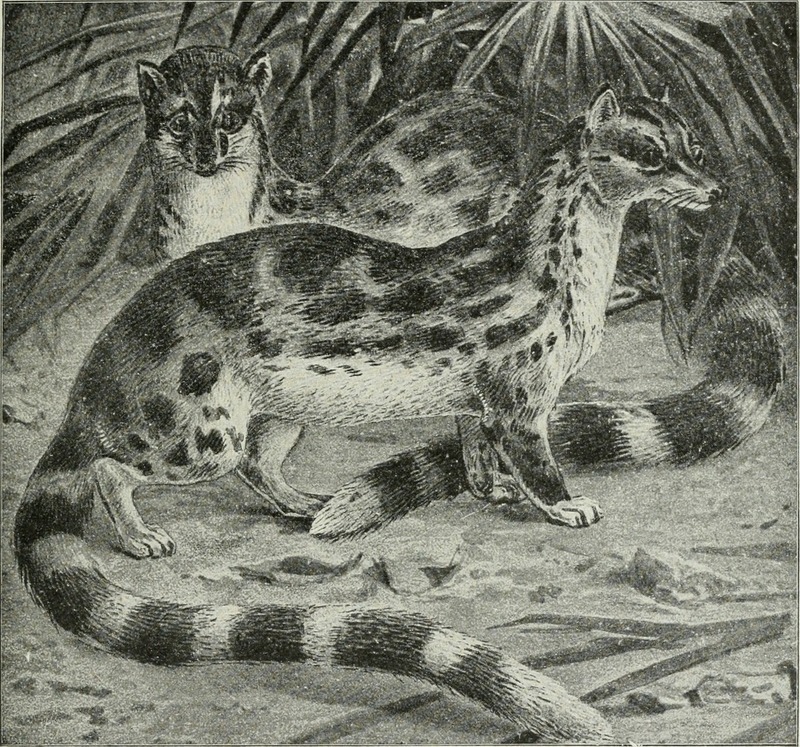 The banded linsang (Prionodon linsang) is a linsang, a tree-dwelling carnivorous mammal of the Malay peninsula, Sumatra, Borneo, western Java, and Thailand. It lives in tropical forests and spends the majority of its time in trees.